The Meyers Manx was the original dune buggy for the everyman, but the roofless, doorless, and dry-weather-only setup isn't for everyone, so Bruce Meyers designed the SR2 version which added a small top and gullwing scissors doors. The builder of this example ditched the typical VW flat-4 and instead went for a quad-carbed Corvair flat-6 for ultimate awesome. 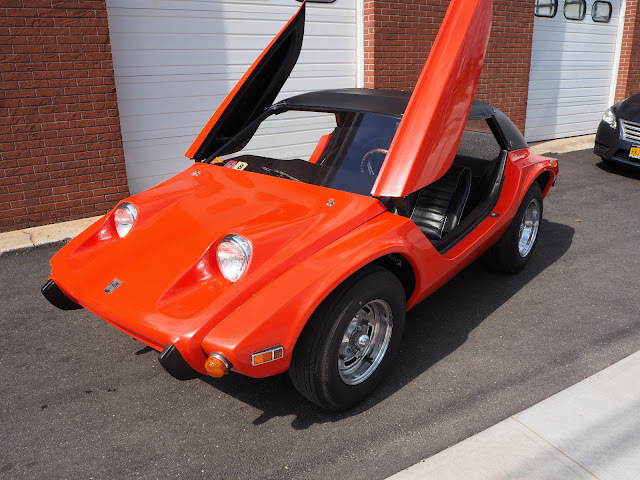 Find this 1970 Meyers Manx SR2 here on ebay bidding for $10,300 reserve-not-met with 2 days to go. Cool car. those are scissor doors, not gull-wing. 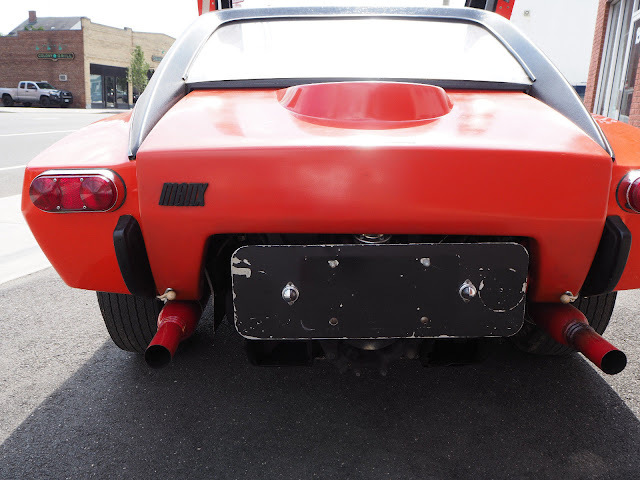 Based on lineage, shouldn't Lambo doors be called Manx SR2 doors? Remember when autopart stores had large bins full of Cherry Bomb mufflers? So cool.